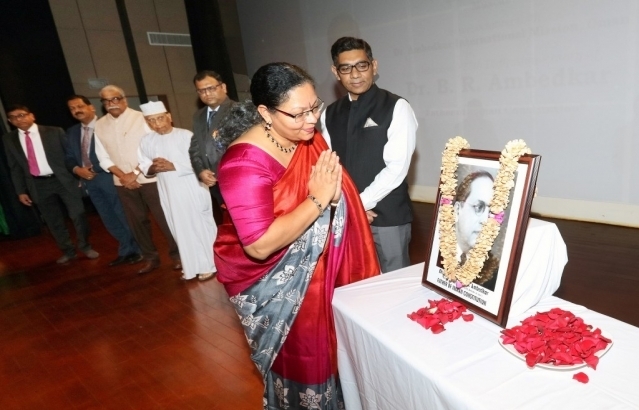 Celebration of the 128th birth anniversary of Dr. B.R. 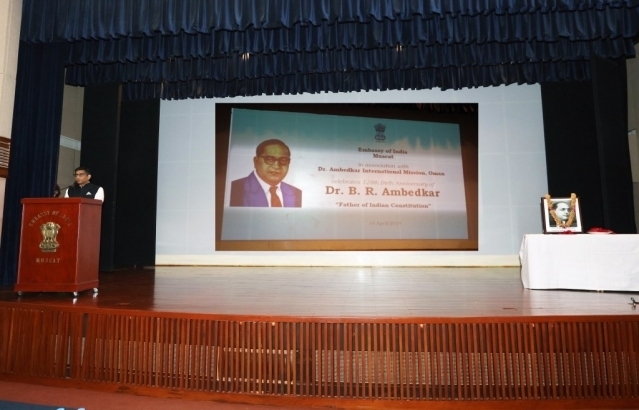 Ambedkar in Oman by Embassy in association with Dr. Ambedkar International Mission Oman. Connecting through canvas: Rangrez 2 at Indian Embassy, exhibiting paintings of 54 artists of 11 nationalities including 29 Indians and 14 Omanis. 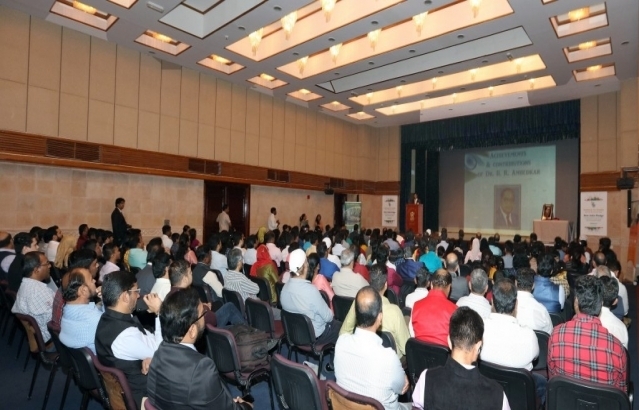 Embassy organized a Roadshow promoting Vibrant Goa Global Expo & Summit 2019. Business opportunities between India and Oman, including investment opportunities for Indian companies in mining sector in Oman and in Duqm SEZ, were highlighted. Ambassador was Chief Guest to “Varsha Pratipad Otsav, Bhartiya Nav Varsha”- Yugadi Celebration, which was organized by Sanskrit Wing in association with Marathi Wing, Andhra Wing, Telangana Wing, Kannada Wing and Sindhi Wing of Indian Social Club. Ambassador was Chief Guest at the 13th Annual Day Celebration of Kalabhavan Muscat-Music and Art Training Institution in Oman. 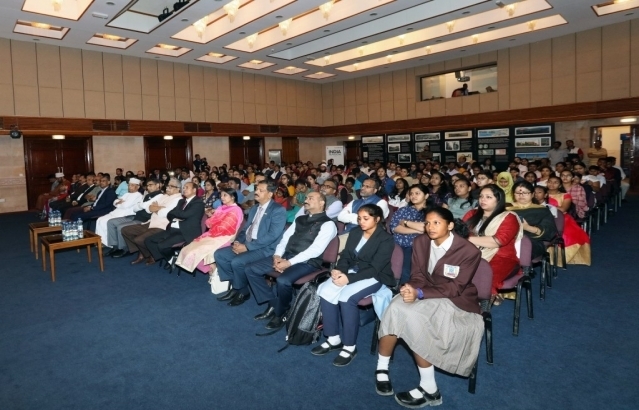 'Satya Vaarta', a talk on Mahatma Gandhi, organized by Embassy as part of celebration of 150th birth anniversary of the Mahatma. India participates in the 4th International Food Fair in Muscat organised by Dar Al Atta Society.